A limit of no more than ONE snapshot or 4 Techs in a GAME SAVE per player, please If submitting a GAME SAVE please specify if it's R&C or Creative in your submission. press x to deploy. Shift for SUPR SPED. press space for anti-tree defense. to use elevator: turn into elevator and press shift. if it gets stuck, spam press shift or press B. once at top, move the GC long brackets onto the open APs of the GC tri-bumpers to lock it in place. can only fit planes ~12 blocks wide into hangar. Anchor to charge/reduce lag. This carrier serves multiple purposes: a mobile charging station where you can land your planes for a recharge/repair, a way to carry multiple planes around to do missions, and a protected space for planes when you're not using them. The aircraft carrier has 4 autonomous missile turrets on it that will automatically shoot your enemies without you having to press space. It has a spinning radar dish on top of the bridge. It's almost fully shielded (still working on it). If you feel like Tom Cruise from Top Gun, you can fly by the bridge and get an energy boost from the wireless chargers within it. The helicopter pad can land any helicopter that will fit, but the 4 other spaces on the top deck are specifically designed for planes that I have made so you won't really be able to fit anything in them. However the hangar will house as many 12-wide planes you can fit in it- I managed to neatly fit 8 ACI's in there. It's got a pretty potent anti-tree defense at the front that is activated by pressing space. The carrier can surprisingly go over almost all terrain, even very deep crevices that challenge most techs. It is also quite fast; 44 on average and ~90 when boosting. It's got a fuel engine at the back that'll pick up any loose chunks it finds. It'll spit out any non fuel items and turn the rest into electricity. It's batteries are separated by anti-explosion walls so that they won't combust all the way down the carrier once they detonate. Uh, what else... oh yeah, it's got a little deck tech for maneuvering around and zooming inside the hangar. It deploys right in front of the bridge. I would advise against anyone who doesn't have a moderate graphics card to use the carrier for... reasons. I have an overclocked GeForce 1050 Ti, which is what I am calling moderate for those of you who are wondering. The Aircraft Carrier will be on the workshop once I finish it and the workshop uploading bug is fixed (soon pls). Space carrier made by Sakura. W to get down and S to go up. You can place some plane on it. Also you can let this carrier float in the sky. i was also waiting until birthday banner appeared. 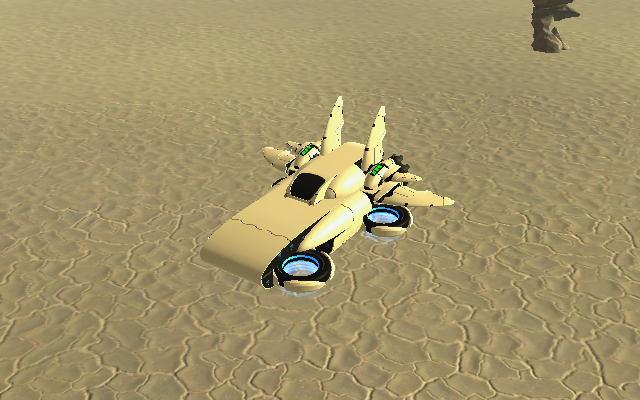 A futuristic car from Better Future, with a hover variant! This vicious little craft is not easy to control but surely is fun, shift to go up and away, and S and W to go up and down, A and D for turning. (Save): Change AI to Guard mode (this one may take a while to "finish its task." I suppose it goes without saying but let's see some Better Future techs too! "BF BikeMeansIn1" - Like my Venture bike from the other week, but pure BF. Let it lean back then [W]+[Shift] to take off. Try to shoot something (be propelled backwards by the Auto-Canons). I got slightly confused over the past week about which vehicle-buildy-fight-game with a spaghetti western soundtrack I wanted to play, so to cut a long story short, I've ended up building four vehicles inspired by a multiplayer game called Crossout. They're in the R&D save attached below. The vehicles have small numbers of heavy weapons and little in the way of shielding and repair bubbles, because Crossout's building system lends itself to a different design philosophy. Bombardier has a shield which must be charged up and Hover Heaven is anchored to keep it from drifting away, so press X to release it. 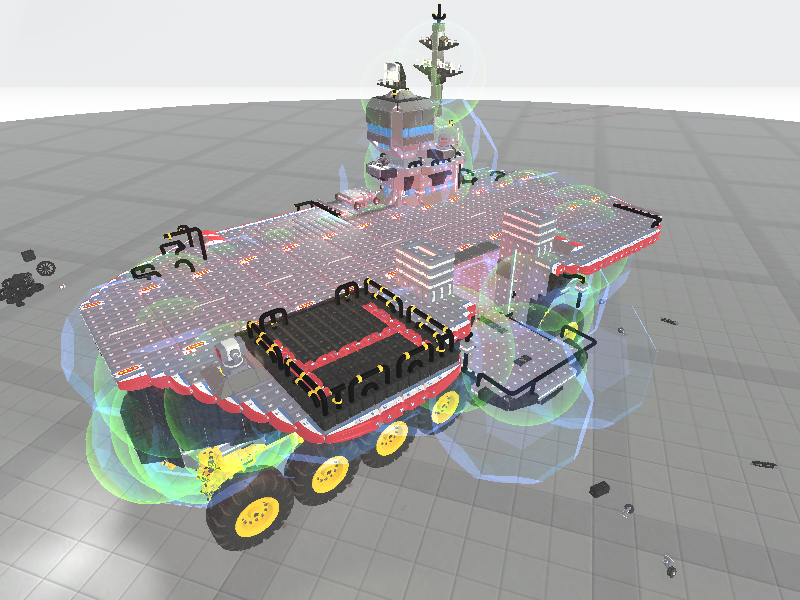 Feel free to fight the turrets and stuff, although the turrets will win, because TerraTech is better than Crossout. wait why are people summiting moar than one tech? why are people summiting moar than one tech? Because the devs never seem to mind multiple snapshots in practice. I may edit the post to put them into a save (if it's an issue). Kinda seems like a technicality though... What'd you think? SADW AROUND, CHARGE FOR HEALS IF NECESSARY. It's a Better Future Ion Drive strapped to 8 wheels. R&D save. Remove the bumper blocks on the bottom before use. Uses slider technology (ask Matt or Sammi, usable sliders marked w/ red blocks). Take control of a slider, press "B" and hold "W"/"S" (depends on camera angle). Use upper one first. Prelude: a GeoCorp and Hawkeye combat hovercraft wrapped in a sleek Better Future shell. Charge then fly around destroying things. Welcome to World of Mag! It's that time of week folks! Locking the thread now.